I didn't make up the "carp ninja" term. I am not sure who did but I absolutely love it and will continue to shamelessly steal it. 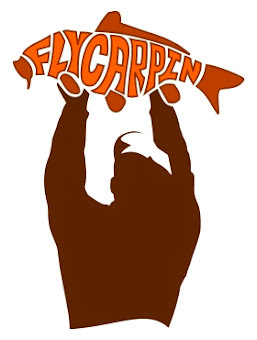 Carp Ninja perfectly describes what is among the most critical skills for regularly catching carp on flies. Carp aren't quite as spooky as people make out but they certainly posses more awareness than the average fish. 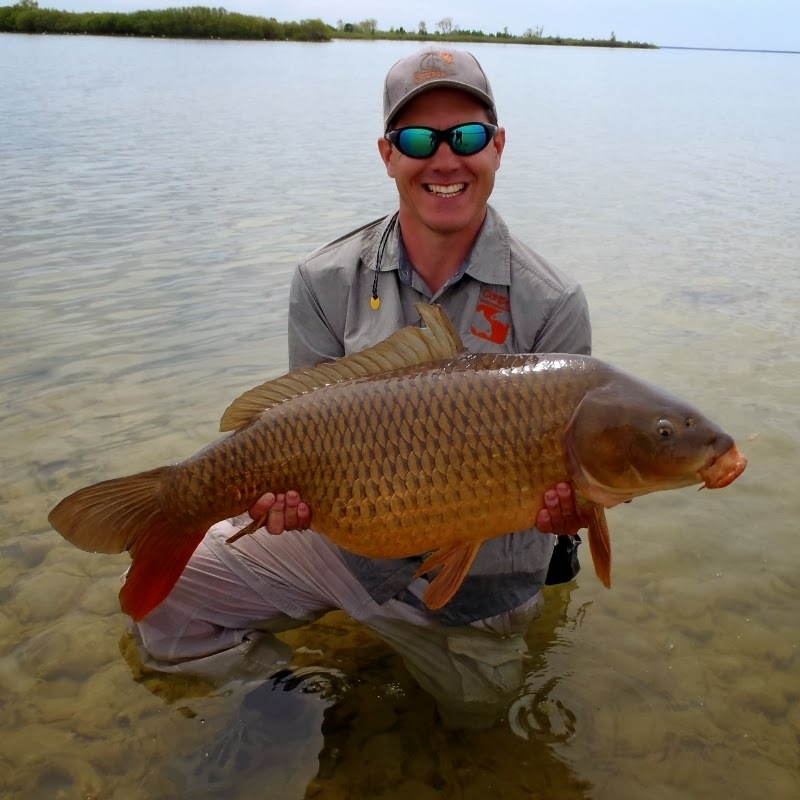 It takes a while but with some pretty simple skills and changes in behavior you should have the capability to regularly get much closer to feeding carp. More than anything else carp sense the vibrations that we make as we walk on the bank or in the water. We must compromise between maintaining silence and covering water but in general an experienced carper will make every step slow, controlled and in a deliberate fashion. Remember back to childhood when you would heel-toe into the kitchen for a late night snack after bed-time with every step full of suspense and tension. Go back to that time. Recapture that feeling and you are on your way. Some surfaces will defeat the most experienced carp ninja and it may be a good idea to actually plan your approach around them as much as possible. Heavily entangled undergrowth can be frustrating as every step seems to snap twigs no matter what you do. Gravel and Cobble is even worse. As you become aware of the your vibrations walking on cobble becomes almost physically painful. 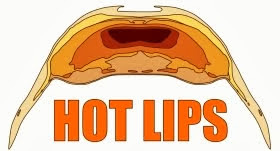 If you cannot avoid these kind of surfaces take your time and tread lightly. 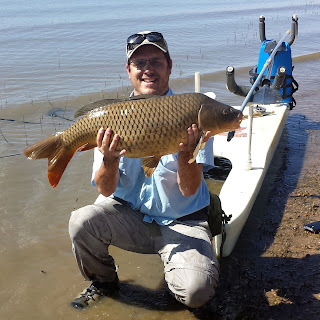 Wading introduces additional problems and many experienced carpers avoid it whenever possible. When you push through the water you make pressure waves that travel through the water. 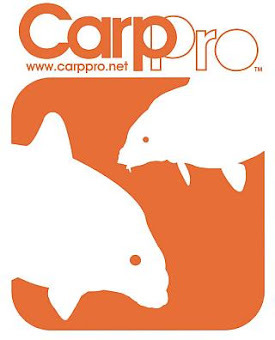 These pressure waves can frighten carp from a significant distance. Additionally you cannot directly hear the noise and vibrations that your feet are making on the bottom. Learn to feel the noise you are making on the bottom as it transfers up into your feet. Your feet give you constant feedback and every vibration that you feel is like a klaxon warning to carp. I have an old ratty pair of shoes with the soles worn almost all the way through. I absolutely love fishing in these shoes because I feel everything. Unfortunately they have betrayed me twice this year leading to wet, dangerous and embarrassing encounters with the bottom. These shoes are now relegated. All creatures sense motion. Notice sometime that it is easier to see a carp in motion. Carp also see you better when you are in motion. The slower the motion the less observable. When working to very close carp it can be helpful to avoid over-hand casts as much as possible. At close range I will hold the line to load the rod and perform flip casts, under-hand pendulum casts or slow overhand lob casts. At medium range I will often roll cast even when there is nothing behind. I posses more accuracy with a roll cast or single handed spey cast but the casting stroke is also less sudden and visible. When walking the bank and making your approach it is a good idea to concentrate on keeping your motions controlled and slow. 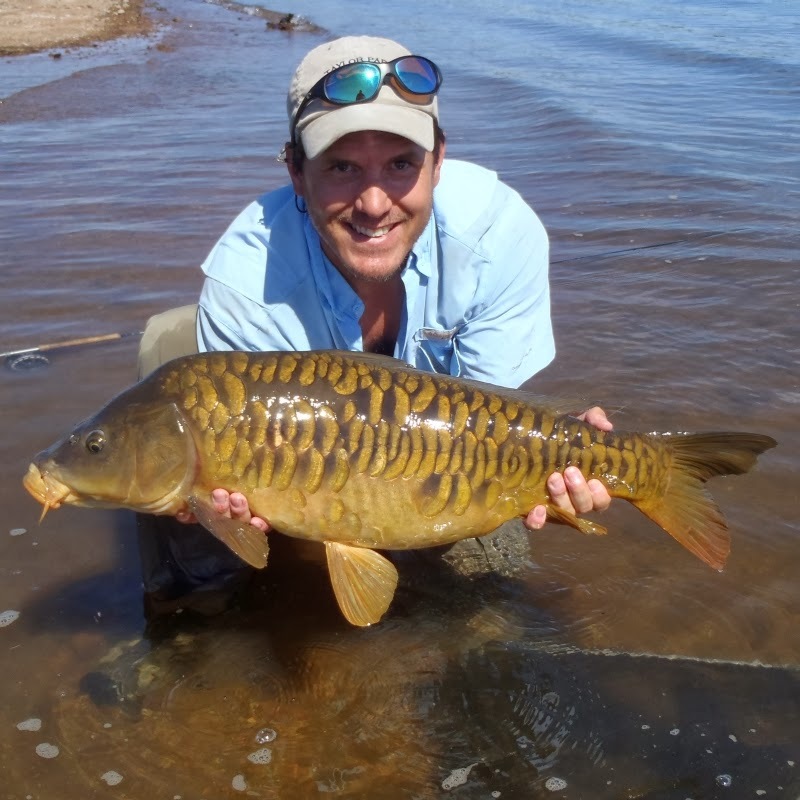 Walking slowly reduces your vibrations, makes it harder for the carp to detect you and reduces the occurrences of stumbling right up to a tailing carp. 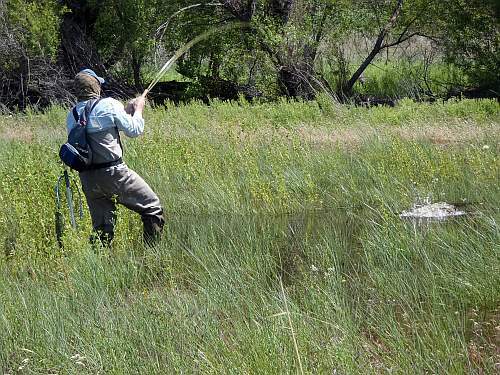 There are several forms of cover that make it harder for a carp to get wise to your presence. Dirty water provides the absolute best (or worst depending on your perspective) cover. Best because the dirtier the water the closer you can get to carp. The worst because the dirtier the water the harder it is to find carp and detect takes. It can be hard to feed carp in dirty water, but you can get much closer and must take advantage of the opportunity! This video was filmed in water with about 1" of visibility. I laid out dead still on the bank with just my hand sticking out patiently for a good half hour trying to touch tailing carp. I managed to touch two which goes to show that you can get very close in the right conditions! Background cover may be the most critical and commonly missed for of cover. Next time you are fishing with a buddy pay attention to how easily you can resolve a human figure highlighted against the sky or a distance backdrop. Objects in the foreground stand out like a sore thumb in these conditions. Then have your friend move right up against some brush. Regardless of how he/she is dressed they become much less obvious when the background is close. Pay close attention to what is behind you. Open sky is bad. A cliff, tangled mess of brambles or even cement works nicely and the closer the better. Shadow gives even more cover. Direct sunlight makes you easier to spot. Much like the ninjas of yore try and work from the shadows whenever possible. Sometimes no cover can be had. Perhaps the fish are in the middle of a crystal clear flat. Perhaps they are tight against a barren shoreline. Your odds of getting really close to a fish go way down but as much as possible you still need to put the stalk on. Beyond moving slowly and quietly the you can add reducing your profile to your toolbox. ﻿﻿Moving in a crouch or even on your knees helps as long as you can still see the fish. 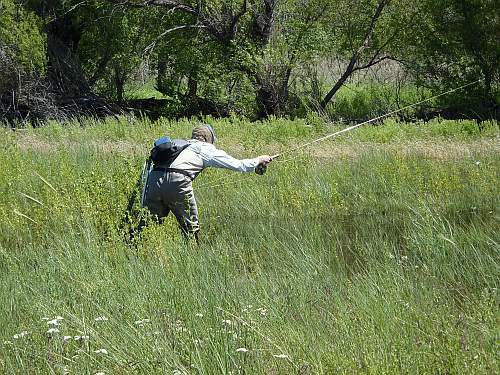 Anybody who spends much time fishing high country trout streams spends a significant amount of time fishing from their knees. Why not do the same for carp who are at least as skittish? My biggest carp to date took the fly while I was on my knees. 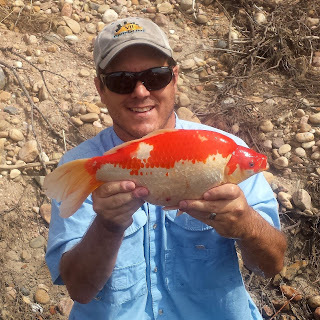 I hooked and landed my second carp in this years carp slam after I crawled 50 feet on my knees to get into position on a large open sand flat. Camo hasn't made it into my wardrobe. Yet. Whatever it takes right? At this point I focus on wearing drab natural colors like tan or a light olive in cover. Some carpers switch to a light blue shirt to better blend in with the sky if they expect to be in the open. I have followed suit but I cannot say if it makes a difference. I did accidentally wear a bright red jacket to the water once this winter. I will never make that mistake again! During this summers Oregon carping trip with John Montana I often stopped just to watch John fish. On one occasion he suddenly switched from casual stalk to full on crouching tiger stalking heron. The difference was startling. I broke out the camera and managed to catch this sequence. That my friends is a carp ninja in action. Every move was slow and deliberate with a low-profile posture. Money. Good stuff! 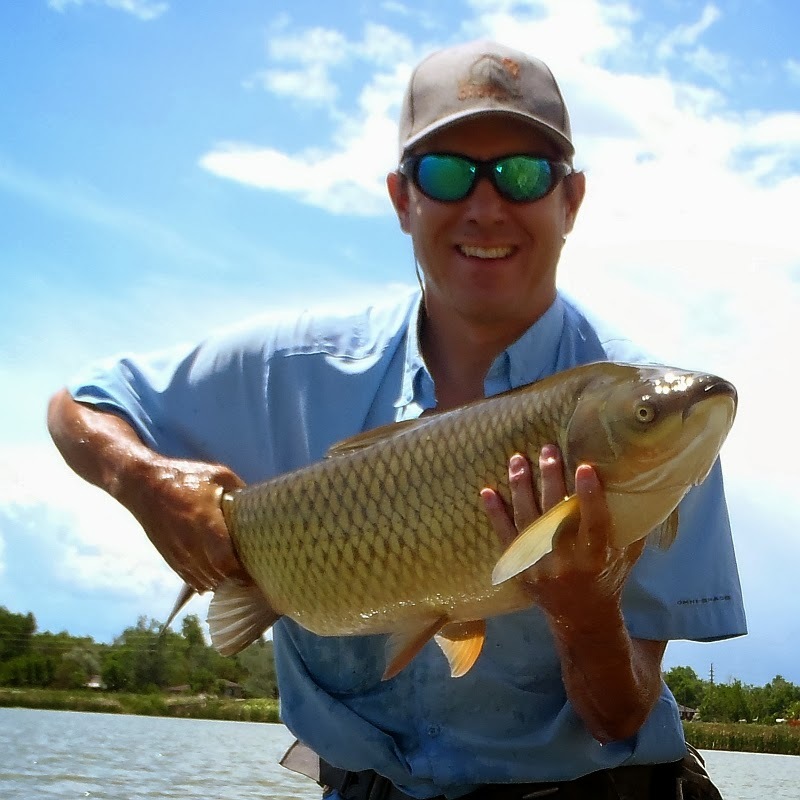 Such a blast chasing those carp in Denver. Cut - Best thing going! Nice post. Good instruction tips too. 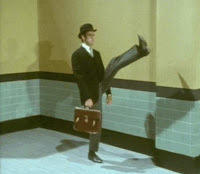 That monty python episode is one of my favorites. I thought the show was kind of dumb overall but that skit was hilarious. That one and the funniest joke ever told. It is one of the few parts of MontePython that ever really stuck in my head as really funny. That and the man-eating rabbit. Great info. Fishing from a canoe like I do takes care of a couple of those things - i.e low profile, no wading - but brings other stealth issues into play. I probably spook a hundred carp for every one I land. The canoe/kayak thing actually poppped into my head as I was writing this but I wasnt sure if they made you more or less stealthier? I think they make you stealthier. Lower profile and you can approach in absolute silence if you do it right.